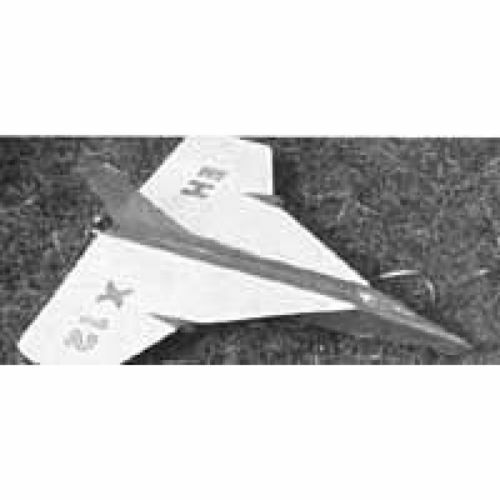 The plane is mainly build with Coroplast sheet apart from the wooden bulkheads and wing stiffeners. 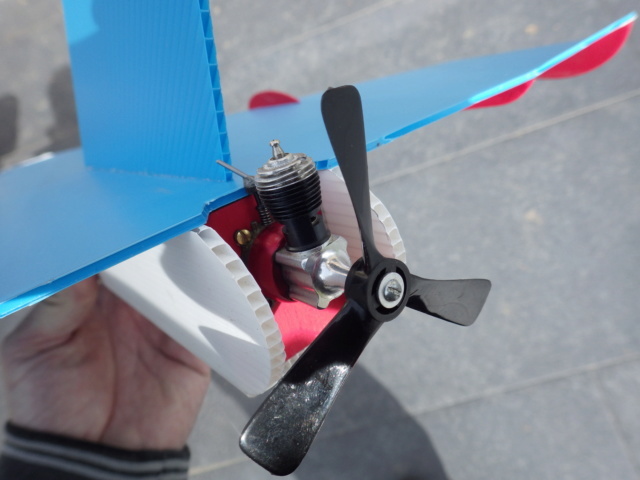 The plane is powered by a Pee Wee mounted at the back and a 3 blade 3.125x2.5 prop. The knob of the needle valve is just at the same level of the wing. in order to turn the needle easisly, I attached a piece of music wire with a blob of époxy. Hey René, this is the trade engine you sent me !! 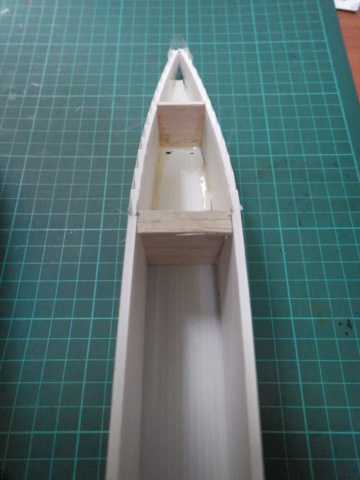 I started the build with the fuselage. 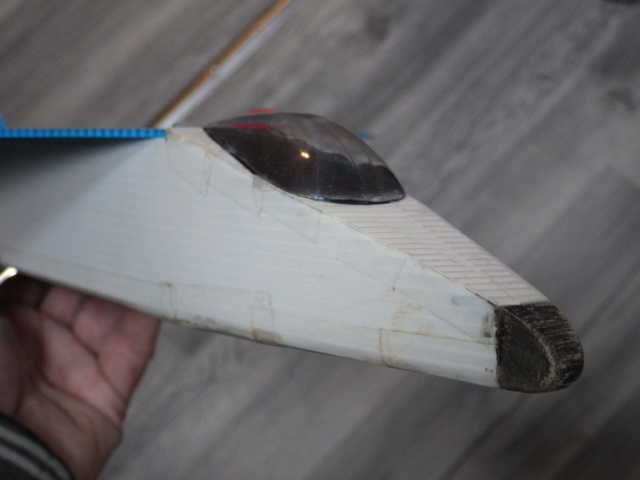 The bottom and sides were cut in 1 piece out of a sign board and then folded and glued with 2 balsa bulkheads + one in the nose and the motor mount. The nose was left long enough to be cut to size after glueing. 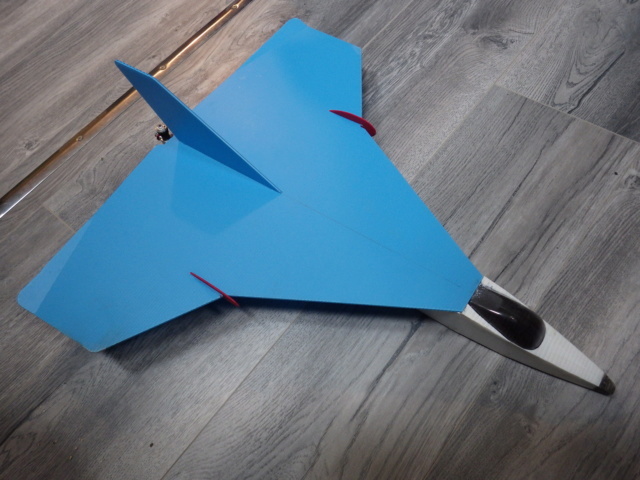 The wing and tail fin were cut out of a thinner blue sheet I found at our local DIY for 1 EUR. 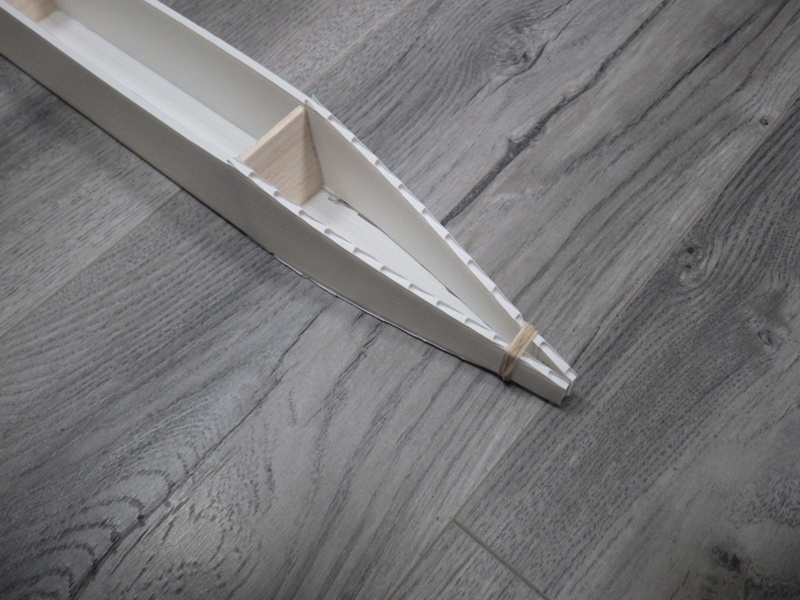 The wing panel is kept straight by some sort of wooden stiffeners that also provide stability I think. 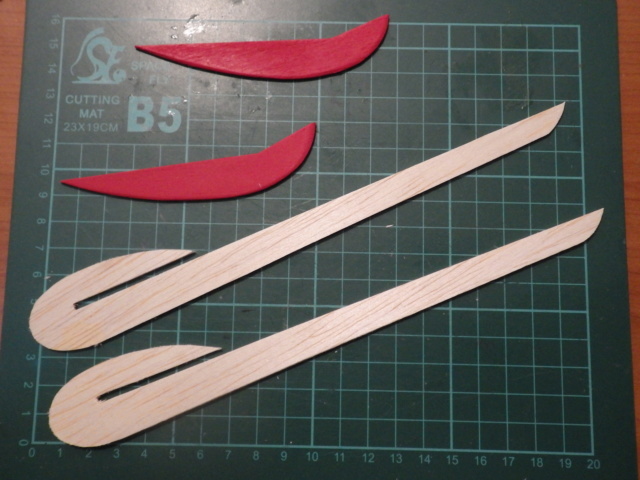 After cutting and 3 coats of dope, they were painted in red PU paint. The elevons are kept in place by 2 retainers glued on the tips. The elevon angle given on the plan is exact the one that is needed. The canopy was cut out of a hand soap bottle and glued on. The area covered by the canopy was first coloured black with a pen. 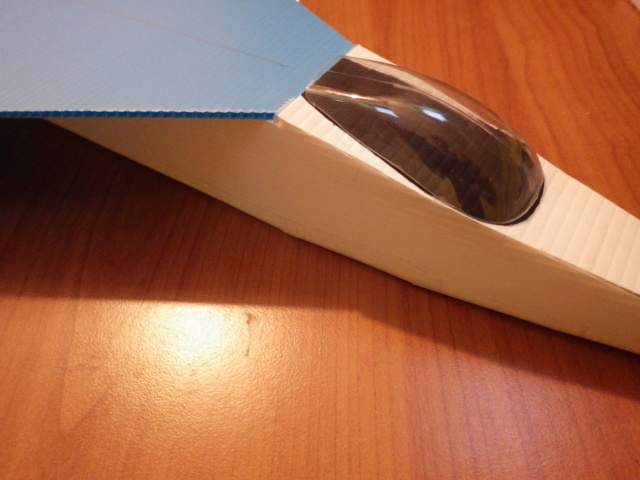 The nose cone is a piece of leading edge, doped and painted black. This picture was taken after glide testing. And the plane does fly!! Greetings! Yes, that little PeeWee does look good on your plane. Glad to see you get her up in the air! Very nice build using coroplast. 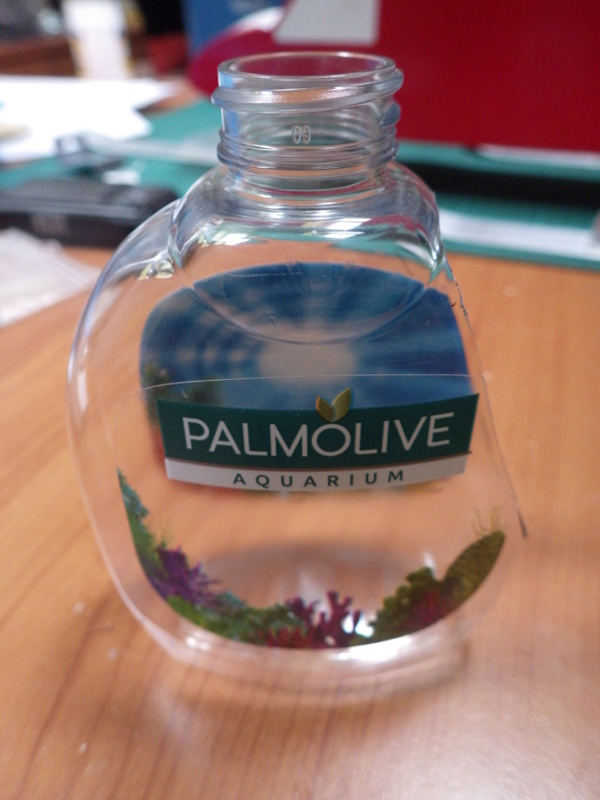 Enjoyed the re-purposed Palmolive container. 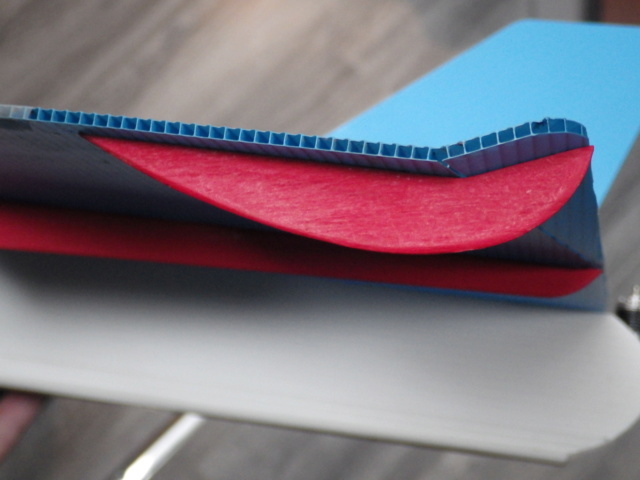 Would there be any weight savings using Dollartree foam board instead of coroplast? Thanks for your comments. I don't know Dollartree foam board Foam board might be lighter but know that weight is not an issue. 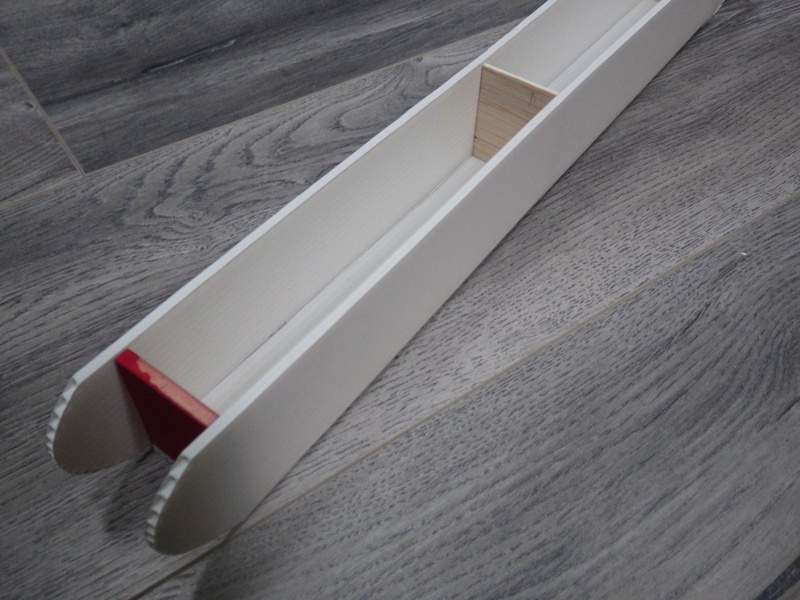 This plane weights complete 170g. A Pee Wee can pull up more airplane weight than that. Looks like it would make a nice model for single channel or multi RC, too. Perhaps then lighter weight foamboard might have an advantage to offset the weight of the radio equipment? Great little plane and flys well ! I see after the power cut it took to straight flight why is that ? The model was designed for single channel RC with a rubber band escapement. Eric, the plane glides back to earth in a straight line because there isn't anything to create a right hand turn. I've read that by altering the position of an elevon, a right hand turn can be created but I don't know which elevon to alter and to give more or less lift. 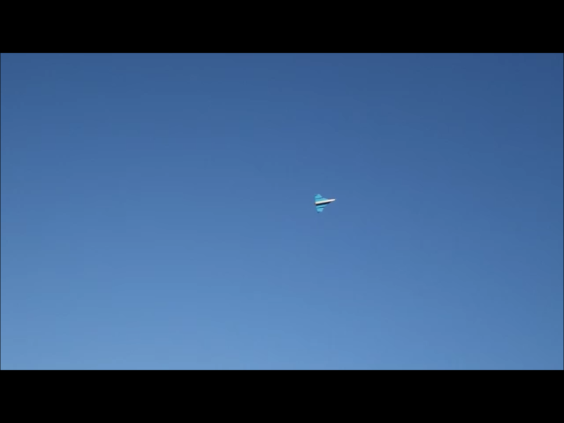 During glide testing, I increased the angle of 1 elevon to see what that did but the model kept on gliding straight. 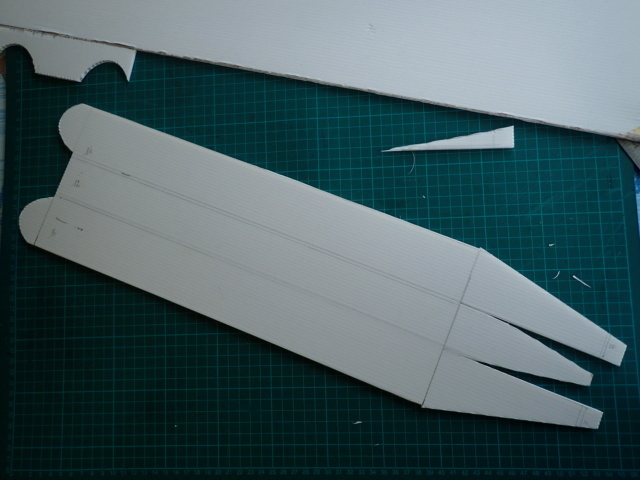 I also added a weight to the right wing but that didn't make any difference either. I now only rely on a fast descend to prevent the plane from flying too far away. Interestingly, the plan only shows the elevon construction on one side. It would make sense on both sides. Perhaps it was intended to be on only one side depended on to counteract engine torque for straight flight with a gentle climb, then compensate with rudder during glide? Without the engine article, comment next to the engine leaves one clueless. It can be found on an eBay page of a chap who sells the plan. The picture is not very clear but there are definitely 2 longitudinal stiffeners in the wing, so I suppose there are 2 elevons as well. 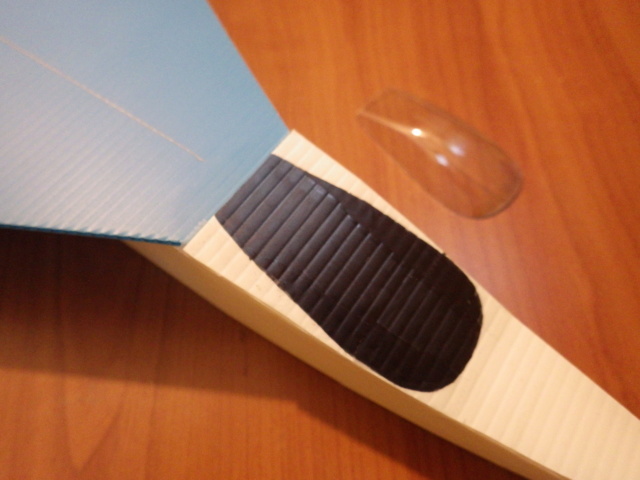 Maybe the easiest thing to do is to fix a tiny trim tab on the rudder for right turn during gliding. VTH still exists. 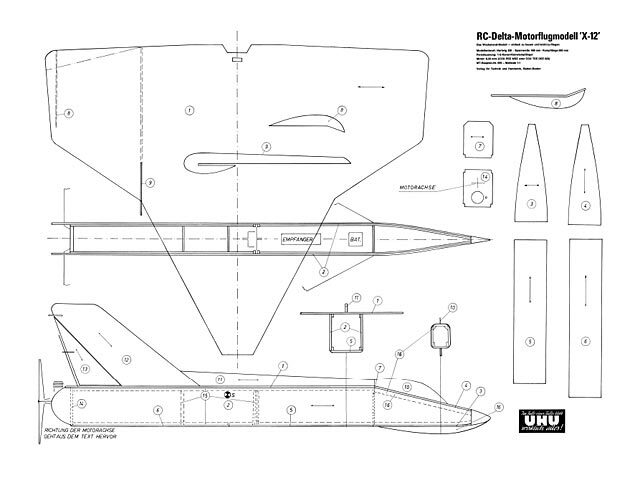 I ordered a Graupner boat plan from them a few years ago. This is the flight of the video drawn on a Google Maps picture. 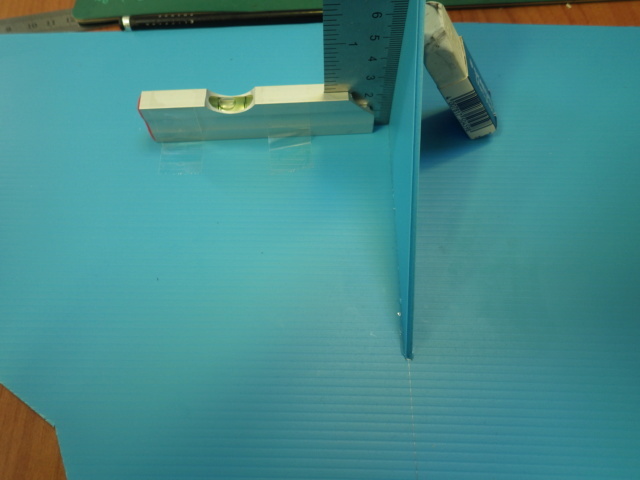 On the picture is a scale of 50m. the distance without the circles is about 300m.